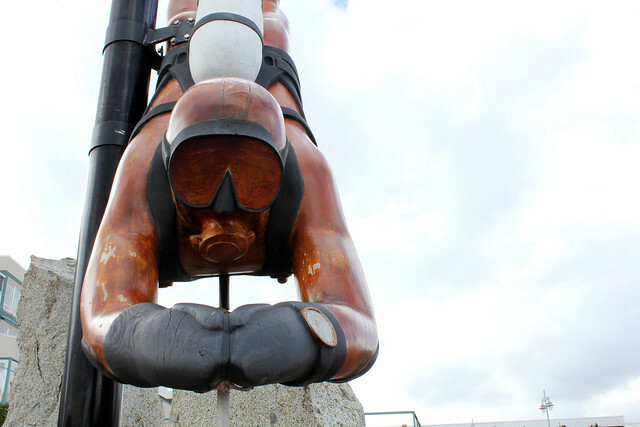 A wooden statue of a scuba diver down at the Sidney Pier. Taken when the li'l family and I went crab fishing. 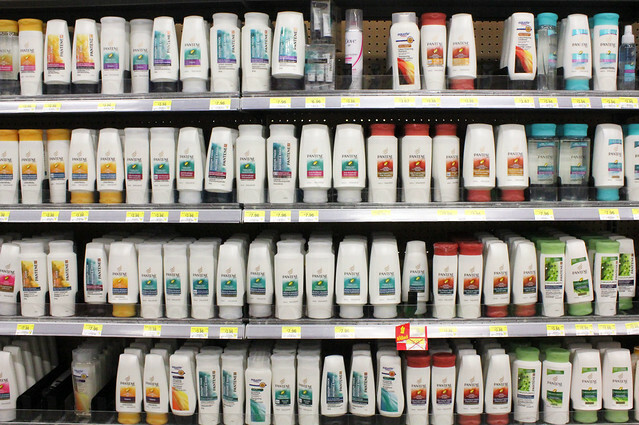 I went to a super big box store to get some lotion and was faced with walls of product as I made my way to the lotion. The store was so busy and yet no one said a word to me as I pulled out my camera to snap this photo. I think you can get arrested for something like this! Taken with my iPhone. I always get hit with inspiration and my creative juices are always flowing in the middle of the night. 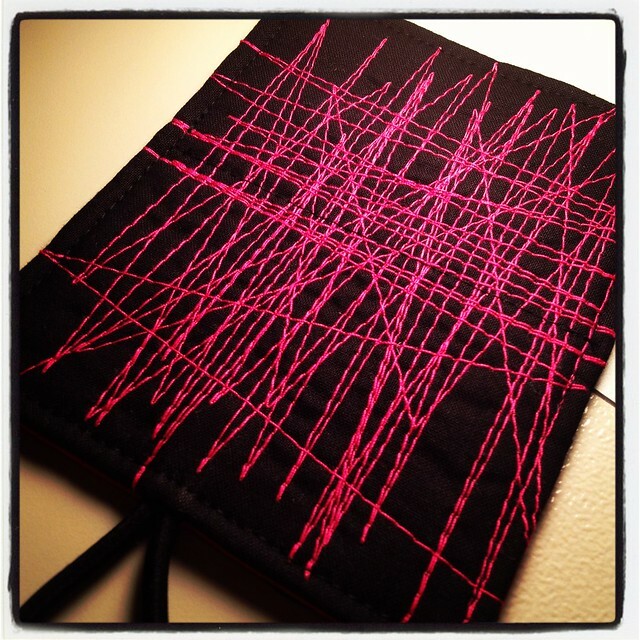 Sometimes I wake up at 3am and have the urge to sew. This photo is cheating. I had actually taken this photo with my DSLR and then uploaded it onto my iPhone and used one of the apps on there to apply the filter. 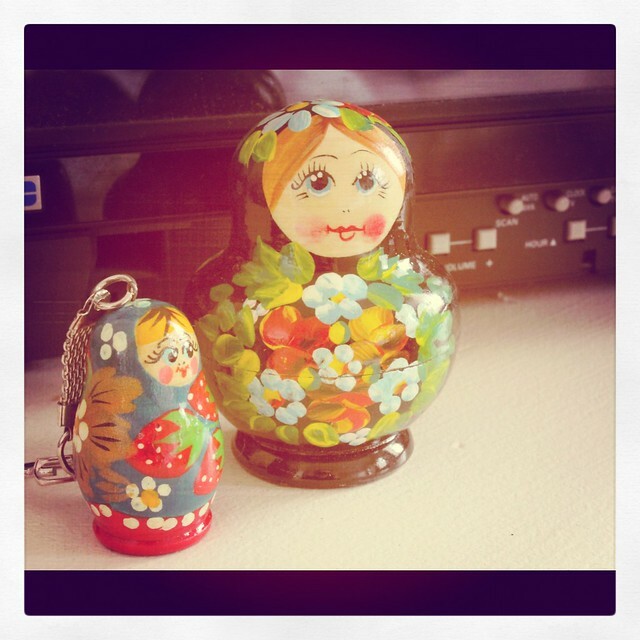 Lately the Munchkin has been very intrigued by my little Matryoshka dolls and keychain that sit on my dresser. I had purchased these at some random outdoor market stall when I was in St Petersburg, Russia. Before Matryoshka dolls were trendy. 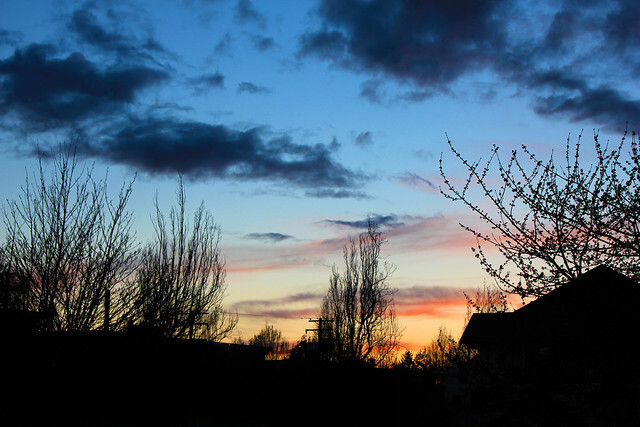 Walking home from a quick jaunt over to the grocery store to get milk, I admired the beautiful sunset. Then ran into the house to get my camera. Full moon. 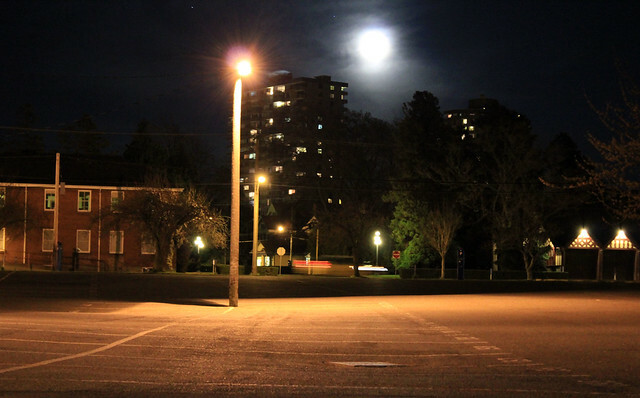 Would have been even more beautiful if my view wasn't distracted by the parking lot lights! 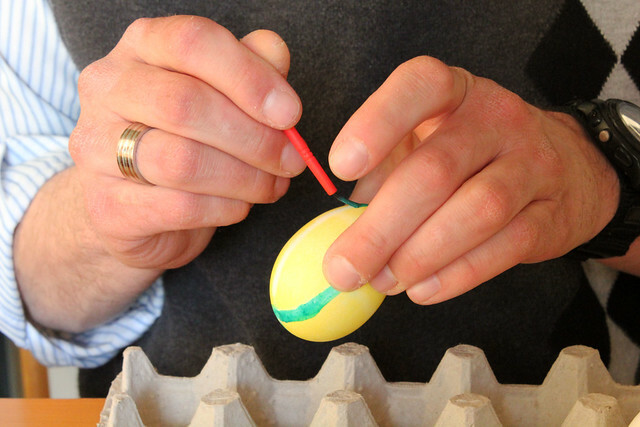 Painting Easter eggs. It was both the Munchkin's and Brett's first time.